Smooth wood panelling, streams of natural light bursting through a large, pitched glass roof - as soon as you enter Daunt Books on Marylebone High Street an overwhelming feeling of calm and reverence pervades. Books arranged in elegant style line the walls of this Edwardian building providing the perfect setting for one of London's most treasured, independent bookshops. This place, and its friendly, knowledgeable owners, clearly love books (especially the travel variety). As you browse the store's long oak galleries, the unique set-up becomes apparent. Books are arranged by country regardless of genre - so French works of fiction ('Madame Bovary', 'La Gloire de Mon Pere') lean up against French travel guides ('The Rough Guide to Paris', 'France on a Shoestring') and French cookery books. A huge range of new titles fill the front of the shop, while deeper, darker galleries display second-hand travel treasures. A glorious mezzanine and a quiet, hushed ambience give the building an air of academia - like an old university library - while a cosy caf allows the perfect opportunity to stay and savour your wares over a warming cup of coffee. Personal, informed service complete the picture. Bookshop heaven. What are the best dining options near Daunt Books Marylebone London? Daunt Books Marylebone gyms, sporting activities, health & beauty and fitness. The best pubs near London Daunt Books Marylebone. 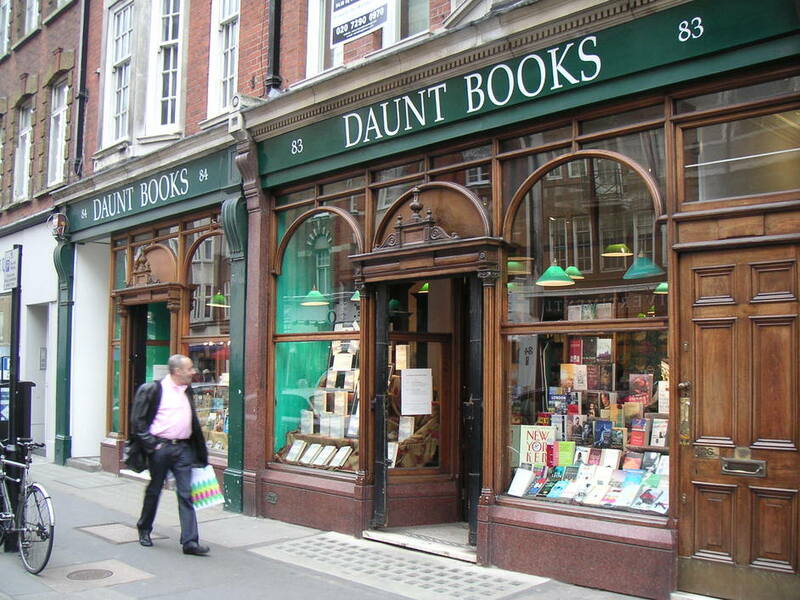 Daunt Books Marylebone clubs, bars, cabaret nights, casinos and interesting nightlife. Where to have your meeting, conference, exhibition, private dining or training course near Daunt Books Marylebone. From cheap budget accommodation to luxury 5 star hotels see our special offers for Daunt Books Marylebone hotels, including Holiday Inn Oxford Circus from 82% off.